A vacation tradition for over 75 years, Perry’s provides the perfect place for guests to discover the charm of Daytona Beach. Our sunny beachfront resort offers refreshed rooms and upgraded areas for breakfast and poolside play. Whether you’re busy sipping cocktails at the tiki bar or indulging in our famous scratch-made donuts, Perry’s blends a beloved old Florida vibe with all the modern-day essentials. The sun is shining, the sand is between your toes, and the beach is calling your name – every day is a perfect day at Perry’s. From homemade donuts and complimentary breakfast, to oceanfront dining and tropical drinks, we’ll make sure you’re well fed and hydrated. Between the oceanfront putting green, swimming pools, shuffleboard courts and 24-hour Fitness Center, we know you’ll stay entertained. And we do too! So, bring them along to the beach for a vacation they won’t forget. Just ask about our pet friendly motel and cottage rooms before you book. With unique spaces for meetings and special events, Perry’s is the perfect place to get the whole gang together. We specialize in beachfront weddings too! We love locals. Right now, Florida and Georgia residents save up to 15% on their stay at Perry’s Ocean Edge Resort. We love Perry's. It is close to home and yet we feel like we are in paradise. Great guest service and always willing to help in any way. Very family friendly. Access to the beach, outdoor pool, indoor pool and private balcony is hard to beat. When I was a child we vacationed here in the 1980s. Now, I have brought my children. We all love it! We stayed in the family suite. It has another room with bunks for the kids and a separate tv. This is our third year staying at Perrys and we love it! Can't wait to get there again next year! Their maple donuts are fantastic. This place is wonderful!!! We stayed in the one bedroom, two bathroom suite that overlooks the pools and the beach. It fit the seven of us perfectly. 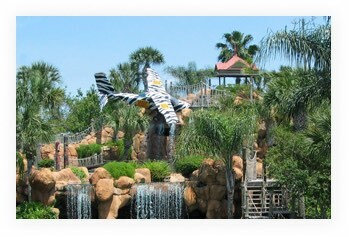 The staff was friendly and the overall appearance of the hotel was a pleasant one. Say “I do” to a stunning sunset wedding at the beach and plan your perfect day around Perry’s scenic oceanfront lawn and terrace, ideal for rehearsal dinners, ceremonies, family photographs, and one-of-a-kind Daytona Beach receptions. With great discounts on room block for group travel, on-site custom catering, and newly renovated meeting spaces, Perry’s Ocean Edge is the perfect place to host your next important team meeting, corporate retreat, or business function. 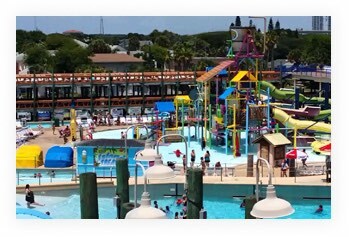 Get your group together in Daytona Beach and choose from a variety of activities for all ages and interests. Pet-friendly rooms, indoor and outdoor swimming pools, BBQ grills, and golf are just a few of the ways we’ll keep you entertained. 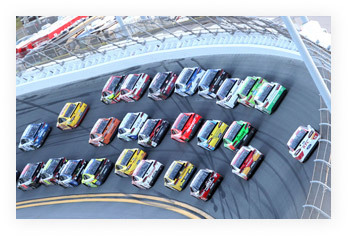 Daytona International Speedway | 6.1 mi. 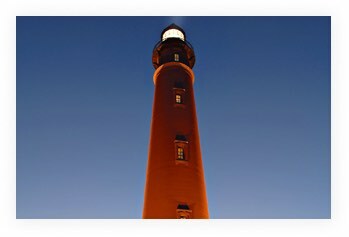 Ponce de Leon Inlet | 9.2 mi. 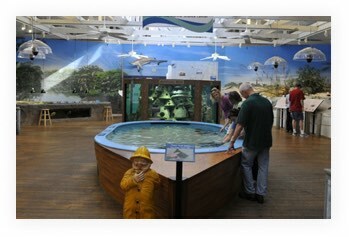 Marine Science Center | 9.1 mi. Daytona Lagoon | 2.7 mi.